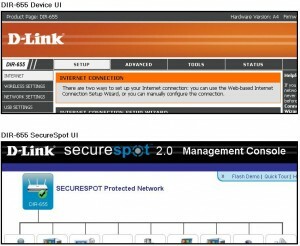 step1: Enter : http://support.dlink.com/Emulators/dir655/,Choose a dir-655 image you want to see. step 2: Enter the login button ,username is Admin,password is Blank. 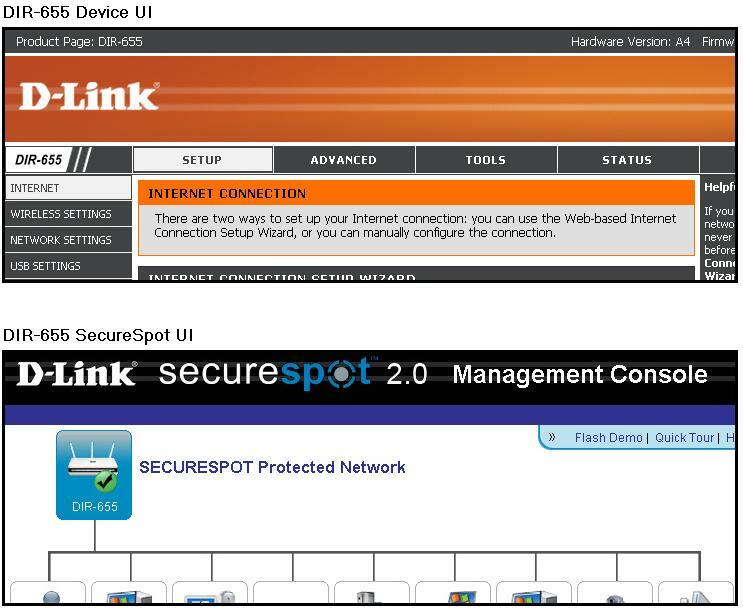 step 3: After you enter the login button,you can see the D-Link dir-655 web control management. Make sure you disable or uninstall any PPPoE software such as WinPoet, Broadjump, or Enternet 300 from your computer or you will not be able to connect to the Internet. Do not disable until you´ve downloaded the firmware in Step 1. Please make sure that your modem is not also a router. If it is or you do not know, please contact your ISP and change the modem to Bridge mode. Step 1: Log into the web-based configuration by typing in the IP address of the router (default:192.168.0.1) in your web browser. Select Admin as the username and type in your password. Leave blank if you have not created or changed your password. Note: The address 192.168.0.1 is NOT on the Internet. The web-based configuration is built-in to the router. If the router is already online, you will be taken to the STATUS page after logging in. If this is the case, the router is connected and you do not need to continue with this FAQ. Step 2: Click the Setup tab and then click Internet on the left side. Step 3: Click on the Manual Configure button. # Address Mode: Select the Dynamic IP radio button, unless your ISP (Internet Service Provider) supplied you with a static IP address. # Username and Password: Enter the username and password your ISP gave you. In most cases your username is the same as your email address provided by your internet provider (example: yourname@yourisp.com). # MTU and Maximum Idle Time: Should be left at the defaults (MTU: 1492 / Maximum Idle Time: 20) unless specifically instructed otherwise by your ISP. Step 5: Click on the Save Setting button to save the changes. If you are connected to the Internet; your Cable Status and Network Status will say Connected,you will have an IP Address, Subnet mask, Default Gateway, Primary DNS Server and Secondary DNS Server. If you do not, click on the Renew Button. Step 6: Click on Status tab and Device Setting on the left side. This is the “password” that allows communication between you’re encrypted client (e.g. the PSP or your wireless computer) and the encrypted wireless signal coming from the router. This password must contain at least 8 characters, the characters can be anything you can create from your keyboard. Step 3: Click the System Tab on the left pane. Step 4: Click Restore Factory Defaults under System Settings. Step 6: Choose Protocol Type – either TCP, UDP, or both. If you are not sure, select both. * Check the box next to Enable. * Next to Service Ports, enter the port or range of ports you want to open. * Next to Service IP, enter the IP address of the computer you want to open the port to. * Click Always next to Schedule or enter the time frame that you want. Step 1: Open your web browser and enter the IP address of the router (192.168.0.1). Enter user name (admin) and your password (blank by default). If there is only 1 box, enter admin. Step 2: Click on Advanced at the bottom and then click Virtual Server. * Enter the port or range of ports you want to open in the box under Service Ports. * Enter the IP address of the computer you want to open the ports to. * Check the box under Enable. Step 4: Click Save and then click Reboot.